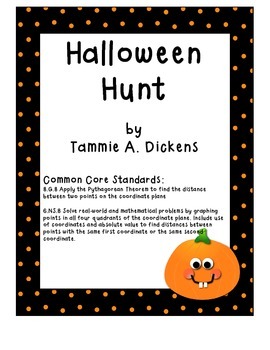 This was designed for use by 8th graders to be able to determine the coordinates of objects on a coordinate plane, then use the Pythagorean theorem to find the distance between some of the objects. 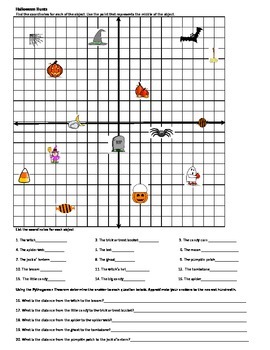 Other grades may be able to use this as an introduction to the coordinate plane etc. 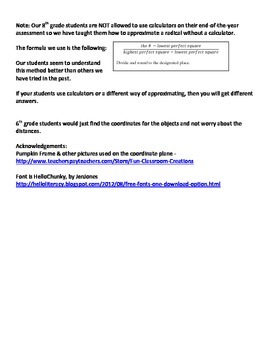 A suggestion for calculating square roots without a calculator is given on the last page.